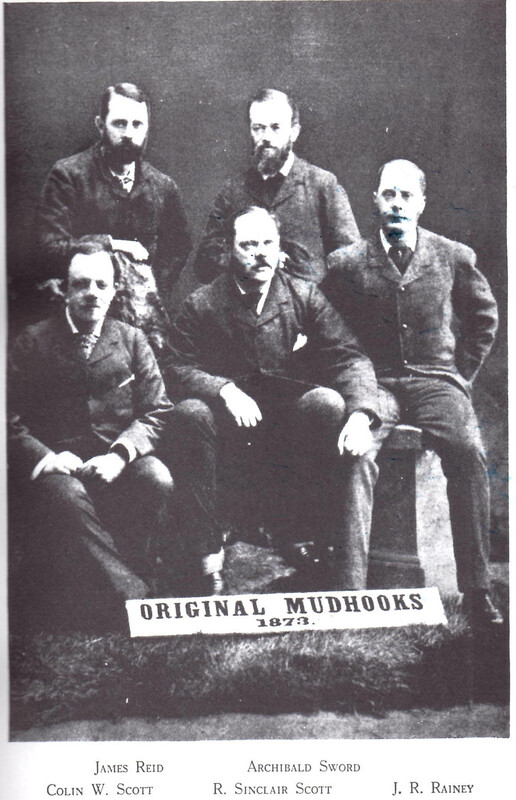 The Mudhook Yacht Club was founded in 1873 by six friends going off for a weekend on one of the group’s steam yacht. They were in Boag’s Inn at Fairlie on the Firth of Clyde and having a quick one before going aboard while waiting for some of the others to appear. As they were a bit dissatisfied with the clubs around the Clyde they decided to form a yacht club of their own. This club was to be something special with the main aim being “to encourage Corinthian yachting” and not “to give expensive races for professional skippers steering their employers’ yachts”. 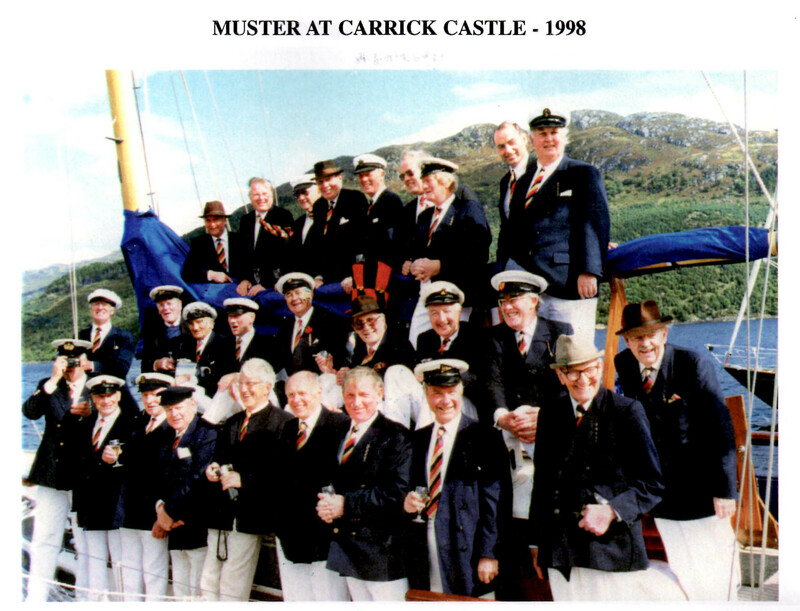 They quickly adopted a constitution that included limiting the membership to forty members and held a regatta limited to helmsmen who were members of a recognised yacht club that was within fifty miles of Carrick Castle, another of their favourite watering holes on the Firth of Clyde. The constitution was subsequently changed to ‘forty and one forbye’ as, on a count, the Secretary had forgotten to count himself into the total. Thereafter the Club took a very active part in the Clyde racing scene. It was particularly noted for only giving two prizes in any race but both prizes were of a very high quality. Since 1933 the Club has supported the participation of young people in racing keelboats by starting what was to become the annual Schools and Club Junior Regatta – in its heyday, a five day regatta series based on the Gareloch. This was started in 6 Metres then withthe addition of the local Gareloch O.D. class. The 6 Metres were subsequently replaced by Dragon and Piper class yachts. Over the years all these yachts were lent by their owners to enable this regatta to take place. The increase in the many and varied ways that young people could get into sailing, coupled with the increase in Health and Safety and Childcare legislation, became an overwhelming burden and resulted in this series of races being stopped in 2005. The Club continues to look at any opportunities to run suitable events for young sailors. See the Trust page for additional information on support available. From 2006 to 2016 the Club hosted the IRC Scottish Championship which was successful in attracting a significant proportion of the local IRC boats to attend. The Club has been supported in this event by ‘Old Pulteney Single Malt Scotch Whisky’ as the main sponsor, and until 2018. The Club is looking forward to a successful 2019 Regatta. Despite being 145 years old the Club maintains the “Corinthian” ethos and the traditions of its founding and transient members.